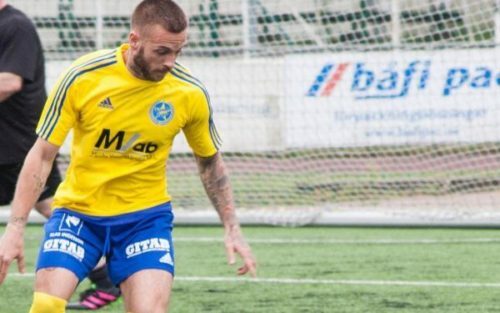 Professional soccer player Anton Hysén publicly came out five years ago and since then has only been subjected to one homophobic comment while playing in Sweden and the United States. Not only that, but the only time it did happen someone in the stands had his back, shutting down his fellow fan’s hatred. Hysén currently plays for Torslanda IK in League 4 in Sweden, and previously played with Myrtle Beach Mutiny. His father, Glenn Hysén, who was also a professional soccer player, mentioned his son’s sexuality in an interview with Offside magazine. The magazine went to Anton to see if he wanted to discuss the topic. He decided to do so. “It is completely strange, isn’t it? It’s all fucked up. Where the hell are all the others? No one is coming out,” he said. “There’s nothing to be a role model for – you’re gay, it’s not a big thing. People tell me I’m a celebrity now, and I shouldn’t be. But as long as it helps [others by speaking openly], I’ll do everything I can. If there’s anyone afraid of coming out they should give me a call,” Anton told The Guardian.